Summer's here. Celebrate the season with a neighborhood get together. 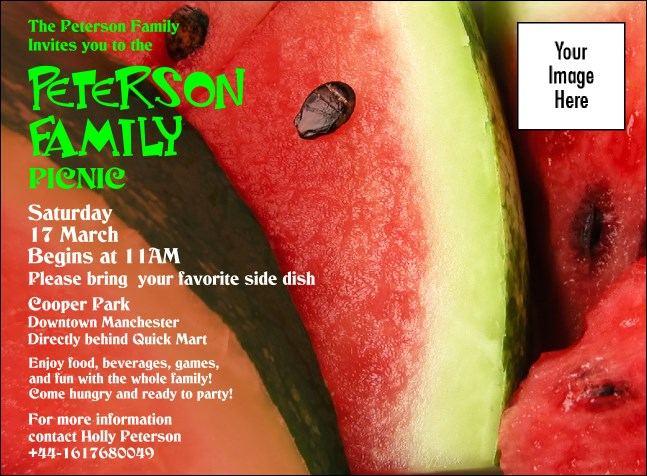 The Summer Invitation features the photorealistic image of sweet watermelon slices. Entice your guests with this delicious invite! Celebrate ever season with UK Ticket Printing.